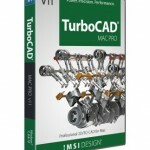 What CAD Software Do I Need? 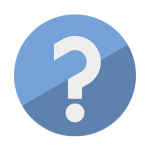 – How to decide on which package to buy to suit your needs. 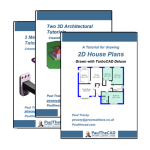 DesignCADVersatile 2D/3D CAD solutions that are easy to learn and use. 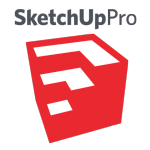 SketchUp ProSmart, flexible Modeling - The easiest way to draw in 3D. 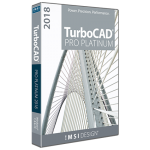 TurboCAD Professional PlatinumProfessional 2D/3D drafting, modeling, & photorealistic rendering. 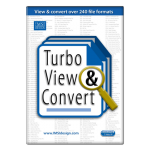 Turbo View and ConvertAdvanced file viewing and conversion utility. 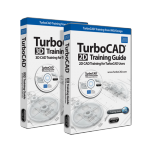 Remote Training SessionsLearn TurboCAD and get help via a remote internet training session. Add: Adds a selected tool into the tab that has been selected. Remove: Removes a selected tool from a tab. Rename: Rename a selected menu tab using this button. New Tab: This button adds a new Menu tab. New Group: Creates a new group in a selected menu tab. 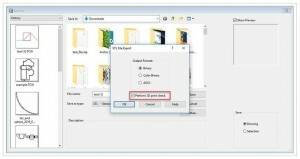 Hide Tab: Unchecking the tab will hide tab from the Ribbon. Move Tabs: Tabs can be repositioned using up/down arrow buttons. 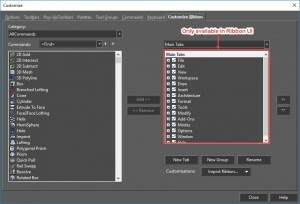 Import Ribbon: Manually created custom(.xml) config files can be imported and used in TC 2019 Ribbon UI. A new checkbox added like “Don’t show this message again” in the dialog “Confirm Replace”. 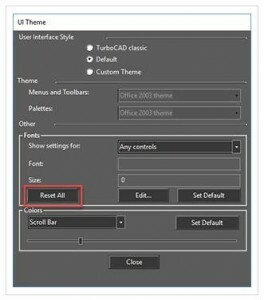 If the user ticks the checkbox the program will remember the last selected option and will not be shown the dialog again. 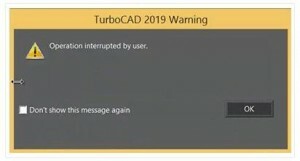 This dialogue can be enabled again through Warning Dialogs in the Options menu. * New item “ShowRenderConfirmReplaceDialog” added to warning list. * Corresponding event is sent to the Event Viewer palette. The Ribbon now supports Themes such as Classic, Default or Custom. – Changed docking place to the top of the application window (not Document window). Doing this gives the Ribbon UI more space for controls. 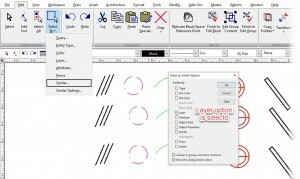 New functionality where you have the option of associating set of layers (Layer Sets) with Named Views. In addition to giving users a much better way to manage Layers Sets, this new feature lends itself to easier Viewport creation. A powerful new tool that allows you to select any 2D or 3D object type or a Block and then find all occurrences of that in the drawing. 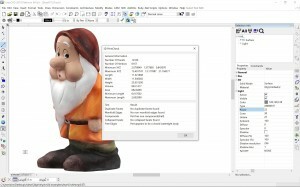 Very detailed selections can be made that include parameters such as pen color and style, brush color and style, layer, even the selected object’s coordinate system. A great tool to use in conjunction with making further global changes to that selected object. 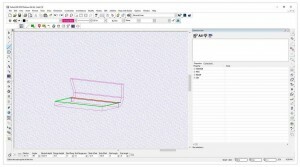 Result: All the objects that are on the same layer as the selected object will be selected automatically. Note: This command is only accessible after you have selected an object. 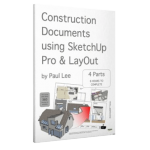 Underlays consist of two parts: the underlay style and the underlay insertion. 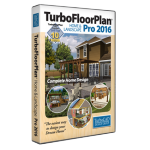 Before inserting an underlay, you must first create an Underlay style, which is done through the Underlay Manager, found in the Tools menu of the Default interface, and in the Format menu of the Ribbon interface A new tool “PDF underlay to Objects” has been implemented. 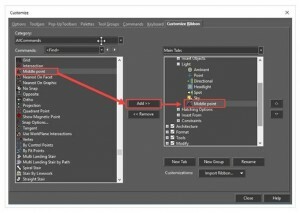 It gives the ability to convert an Underlay into an editable object. The item is enabled if the selected graphic is non-closed and if vertex count > 2. If “Highlight end points” option is ‘on’, then endpoints are marked in red. 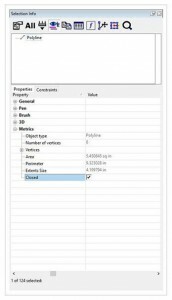 A property called ‘Closed’ has been added to the Selection Info palette, With this property, users can determine if a Polyline is closed or not. 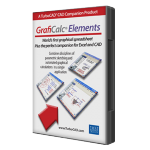 This is extremely important when performing functions such as Extrudes and Lofts. 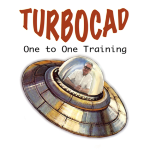 Trace tools (Trace by Point and Trace by Rectangle) are now supported in the 64-bit of TurboCAD, not just the 32-bit version. 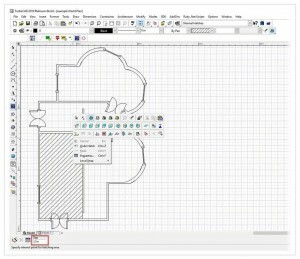 This new ‘overkill’ tool allows the user to eliminate overlapping lines and arcs, thereby allowing for the simplification of drawings by removing duplicate, redundant entities. Combine Overlap: Combine collinear objects that partially overlap into single objects. 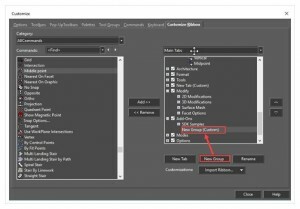 Color, Layer, Line Type: select these LM items to not ignore objects properties during comparison. Event viewer shows the count of object that was changed (duplicated). 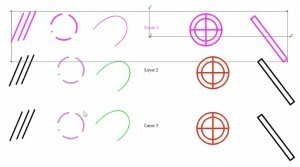 “Remove duplicate” functionality is working for Polylines, circle arcs, text, m-text, dimensions. 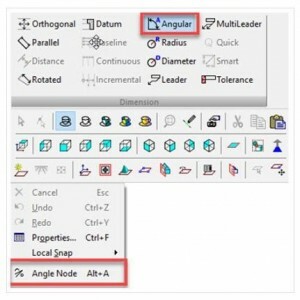 The Angular Dimension tool has been improved with a Local Menu option that is enabled when the Angular Dimension tool is selected. 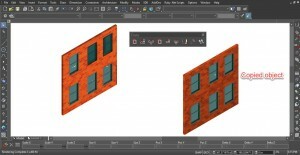 This new option allows the user to define an obtuse or acute angle dimension based upon the user selecting a vertex point on a 2D object and then defining 2 additional points which define the angle. 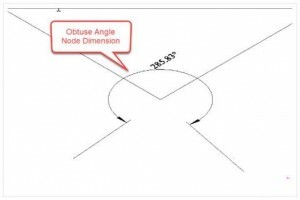 After clicking the second angle endpoint, the obtuse Angle Node dimension is displayed. 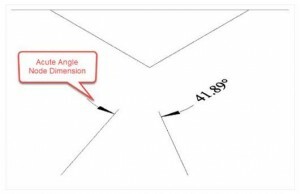 To see the acute Angle Node dimension move your mouse cursor down away from the display of the Obtuse Angle Node Dimension. Added the ability for users to use not only Text/Numeric fields and button controls, but “combo box” controls as well. 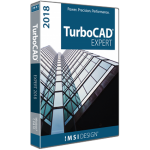 This functionality allows users to reduce using the Tool’s Local menu and reduce Inspector bar size. 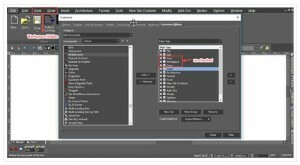 The “Construct Similar” tool takes properties from one object and applies them onto active tool. 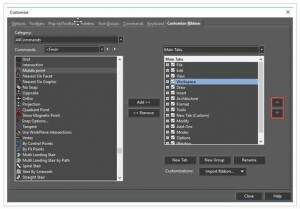 You can set an object’s properties before it is created in one click. 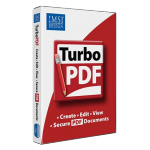 Analogous to the ‘Format Painter’ tool found in MS Office applications. 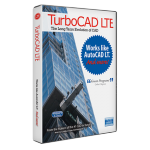 The tool is found on the main toolbar of the program. 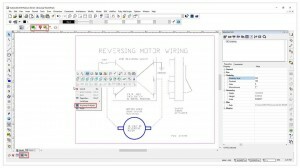 Menu item is enabled if the active tool is a tool for the construction geometry (‘Draw Line’, ‘Draw Arc’ etc.). 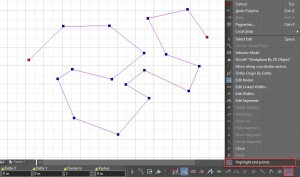 This Hatching tool now works with gaps in 2D objects. For example, trying to fill an area bounded by a Polyline, when there are gaps in the Polyline. Improvements to pick-point also apply to ADT objects (Walls, Doors and Windows), allowing to similarly fill in gaps between these objects. The Surface Tolerance represents the maximum distance between a facet and the true surface definition. By default this value is a predefined fraction of the body diagonal. However, using the Expert Faceter Parameters, you can override the default behavior and precisely control the deviation between the facet and true surface. For example, by specifying a value of 0.05, facets will deviate no further than 0.05 inches/mm from the true surface. 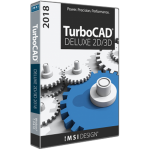 This is particularly useful to remove facet display anomalies due to tolerances. It is single click blend. You cannot select more than one edge. 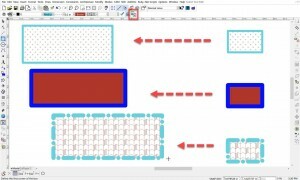 2) Fixed width blend Creates a blend with a fixed width between the two spring curves of the blend. 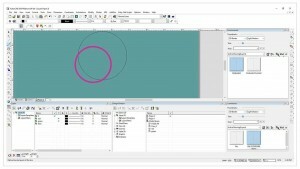 The actual blend radius is calculated implicitly along the blend to produce a blend with a constant cross-sectional width. New “Flange” properties have also been added. 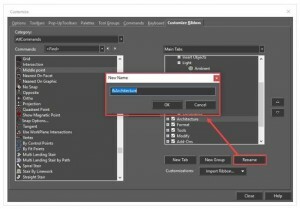 They are disabled in Selection info palette for older (TC2018 and earlier) Part Tree nodes but available for new Part Tree in TurboCAD 2019. 2) Added Offset distance dStart and dEnd. 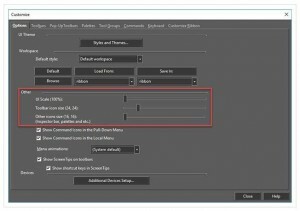 2) The ability to interrupt by pressing “esc” while building a “preview”. 3) Greater accuracy in the “Unbend” results due to using ACIS® unbend at each step. 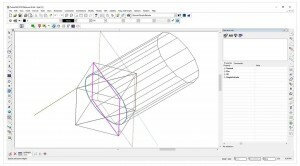 Architectural Desktop (ADT) objects can now be completely and accurately used with Copy and Linear Array copy tools. 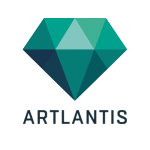 For example, the Array Fit Linear now takes into account all of the properties of the ADT object being copied, including Work Plane, Layer, Materials, etc. Previously, this tool could create only one roof object. 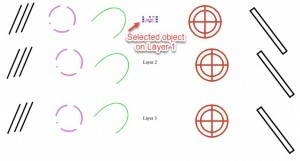 Now, multiple objects may be created. In addition, the overall processing of all ADT objects in a drawing, including the House Wizard, has been significantly sped up. 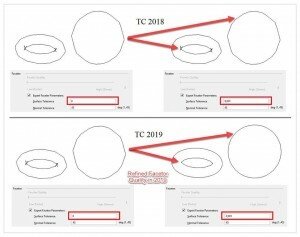 LightWorks 9.3 has been incorporated in TC 2019. 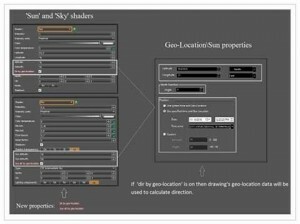 New properties “sun dir by geo-location” and “dir by geo-location” added to “Sky” and “Sun” shaders. 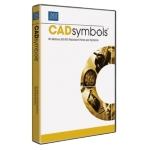 – REDsdk version change to 5.0. – Fixed an error in display list management after performance optimizations for the rendering of GI caches. 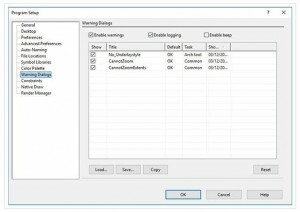 – Hardware driver detection policy change on Windows 10: no more driver version checks. – Fixed an image leak: thumbnails of material controllers were not properly released. 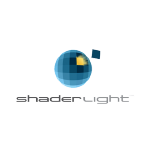 – Improved rendering performances of internal REDsdk display lists. – Reduced the memory size internal scene graphs serialization streams to speed up intensive scene graph operations. 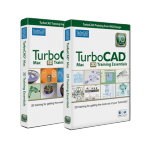 TurboCAD now supports AutoCAD 2019 DWG/DXF formats. 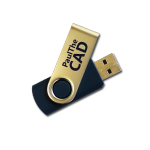 A new file format used for for 3D animation software, the FBX® data exchange technology is a 3D asset exchange format that facilitates higher-fidelity data exchange between 3DS Max, Maya, MotionBuilder, Mudbox and other proprietary and third-party software. 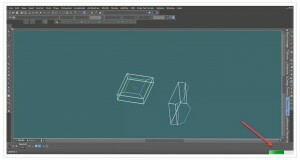 After saving the file, A dialog will appear for each object giving general information of the object as well as result of 3D print tests. Please find the attached reference images. A note on installing the Mac versions. 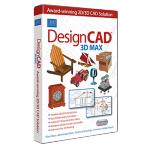 Need some CAD advice? Want to place an order over the phone? Call me now and I'll do my best to help. Buy from this site and I'll provide unlimited telephone and email support! 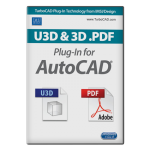 I occasionally send out Newsletters and CAD Product Update Bulletins. If you'd like to receive them, please enter your email address in the boxes below. Please be assured that I will never give your information to anyone else and you may unsubscribe whenever you wish. 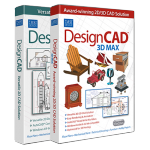 What CAD Software Do I Need?